Electric Six: Let's start a war! 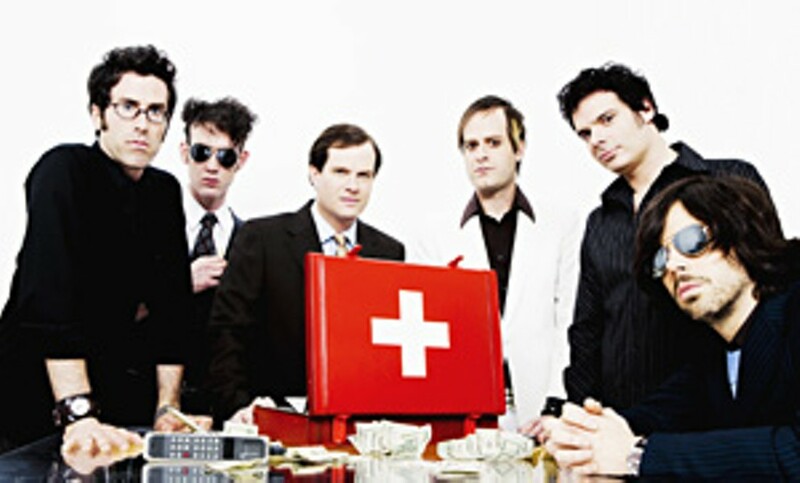 The baggage of Electric Six lies with its love of novelty, as the band's name immediately conjures up memories of a viral video of viking kitties performing "Gay Bar" or Jack White's over-the-top, titular lyrical cameo on "Danger! High Voltage." Groups such as Electric Six have two options when they get pigeonholed like this: vie for legitimacy or embrace the joke. Luckily, the Detroit sextet has chosen the latter. Its newest record I Shall Exterminate Everything Around Me That Restricts Me From Being The Master is full of grandiose rock songs, dramatic vocals and superbly ironic guitar solos. This album, coupled with the novelty-drenched single "Down at McDonnelzzz," is further proof that the band doesn't take itself too seriously — and doesn't expect anyone else to, either.